Serum sickness like reaction is a rare but well-recognized adverse effect with certain drugs, especially antibiotics, amongst which Cefaclor is particularly famous for this. 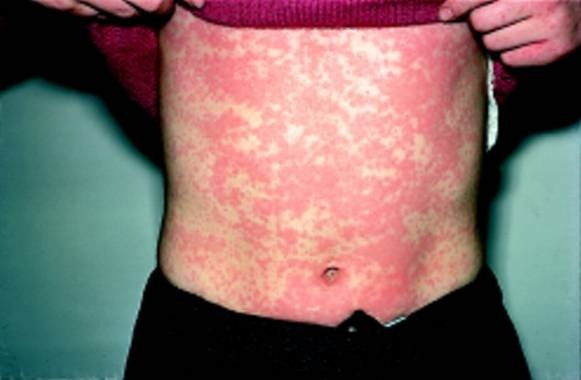 The condition mimics typical serum sickness, which is a type III Hypersensitivity reaction but has not been associated with a similar pathophysiology. In fact the pathogenesis of serum sickness like reactions is still unknown for the best part. The main difference between classical serum sickness and serum sickness like reaction is in the agents precipitating the reaction. While classical serum sickness is caused by a heterologous protein drug (more so with the monoclonal antibodies which are being used increasingly these days), serum sickness like reaction mainly results from the use of non-protein drugs. Serum sickness, it must be noted, was initially described following the use of non-human sera. The presentation is usually 1-3 weeks after drugs exposure and typically presents after the completion of the drug regimen. However, it has been seen with as many as 1-2 days of exposure as well. The true mechanism of non-protein drug induced SSLR is not known but in the case of Cefaclor induced reaction, it “appears to be due to a specific metabolite produced where there is an inherited variant pathway to break down this medication”. “Although the exact pathogenesis is poorly understood, serum sickness-like reactions are thought to originate from an abnormal inflammatory reaction that occurs in response to defective metabolism of drug byproducts generated during pharmacologic therapy; the metabolic flaw could be a maternally-inherited trait. In vivo hepatic drug biotransformation studies have shown greater lymphocyte killing in subjects with a known history of serum sickness-like reactions than in control subjects”. 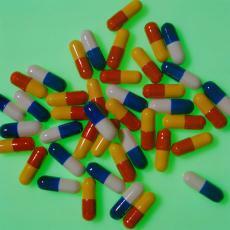 The diagnosis is usually made clinically based on the drug regimen the patient has been exposed to. A critical part of the diagnosis is the exclusion of true serum sickness which can be easily achieved by the lack of presence of circulating immune complexes. Treatment is symptomatic and although antihistaminics and steroids have been used, there is no strong evidence in favor of the same. The removal of the offending agent is usually enough for the reactions to abate further bolstering the theory that drug metabolites are to blame for the SSLR. Some case reports have shown that administration of antihistaminics and steroids serve to shorten the duration of the disease, but it has not been well researched either. Since neurological and nephrological complications are rare with SSLR as compared with the classical serum sickness, it has a very good prognosis. Tags: Immunology, MedBlogging, Medicine, MedNotes, PostADay2011, Science. Bookmark the permalink.